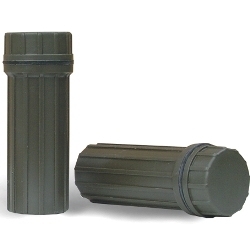 GI Style Match Tube Holder: Olive Drab plastic tube with screw cap. Rubber gasket and striker bar. Watertight. Keeps matches dry.